ABC Raido Australia Connect Asia Home Defence concerns in East Timor political attacks trial Updated February 15, 2010 12:40:24 - Lawyers for a Timorese-born Australian woman standing trial over an alleged plot to assassinate East Timor's President say new evidence has come to light that further undermines the prosecution's case. 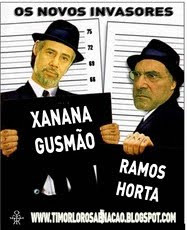 Angelita Pires and 27 men are on trial for attacks on President Jose Ramos-Horta and Prime Minister Xanana Gusmao two years ago. After seven months of hearings the trial is expected to come to an end this week and the defence is concerned crucial witnesses won't be heard. EVERINGHAM: On the 11th of February in 2008 Jose Ramos-Horta was shot near his compound in Dili. It's alleged the rebel leader Alfredo Reinado led the attack. The President was seriously wounded and Reinado and fellow rebel Leopoldino Exposto were shot dead. Angelita Pires had been in a relationship with Reinado and is accused of being an indirect author of the attack. But her lawyers have consistently raised doubts about the prosecution's version of events. One of her Australian lawyers Jon Tippett QC says new evidence adds weight to a different theory. TIPPETT: It simply smashes the prosecution case to pieces really. The fact is these two men were murdered. EVERINGHAM: The prosecution's case is that both men were shot by one of the guards at the President's compound. But the defence has obtained a ballistics report by the Australian Federal Police which concludes that different weapons were used to shoot Alfredo Reinado and Leopoldino Exposto. TIPPETT: Further, the man who is alleged to have killed them using one weapon could not have killed on the ballistics evidence. His weapon simply did not kill them. EVERINGHAM: And now the defence has a report by the leading Australian forensic pathologist Professor Stephen Cordner. Jon Tippett says that report backs autopsies which found the men were shot at close range. TIPPETT: We have autopsy evidence that the deceased were killed at between contact and 10 centimetres from the body which means that they were certainly not killed over 20 to 30 metres which has been the Government and prosecution position up to date. EVERINGHAM: The defence argues the reports support the theory the men were lured to Dili to be killed. But Jon Tippett QC says the court hasn't accepted the pathology report and won't hear evidence from Professor Stephen Cordner. The defence is also still demanding the prosecution release autopsy photos, which have been published in East Timor's media. TIPPETT: We're concerned that the fact that this case is concluding without important witnesses being heard. I'm speaking of eyewitnesses, forensic pathologists, crime scene examiners - these are the sort of witnesses who are missing. EVERINGHAM: The trial has heard from about 130 witnesses over the past seven months. It's expected to conclude this week. The panel of three judges will have 30 days to deliver a verdict.